Product prices and availability are accurate as of 2019-04-05 16:10:22 EDT and are subject to change. Any price and availability information displayed on http://www.amazon.com/ at the time of purchase will apply to the purchase of this product. 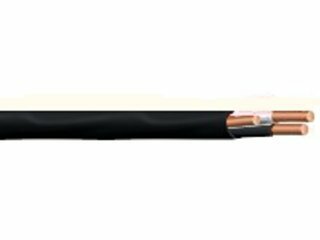 Non-metallic sheathed NM-B cable is used in normally dry installations in residential wiring, as branch circuits for outlets, lighting and other residential loads. Its applications are outlined in NEC 2008 and NEC 2011 Article 334. 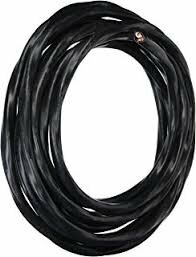 NM-B is rated at 600 volts and although it is rated at a conductor temperature of 90°C dry , its ampacity is limited to 60°C according to the NEC 2008 and NEC 2011. It may be fished through masonry or tile walls, where not exposed or subject to excessive moisture or dampness. 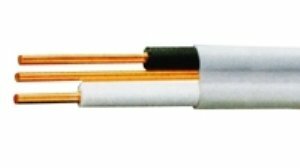 NM-B cables are LEAD FREE and RoHS compliant. Equivalent to Romex NM-B.